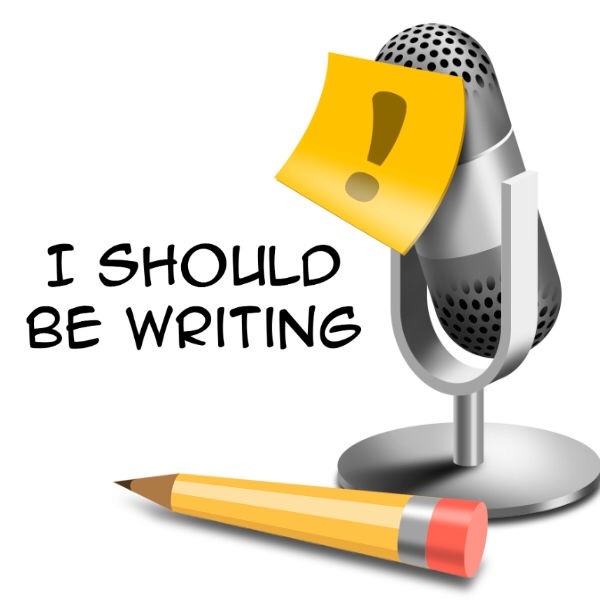 This episode of I Should Be Writing is actually a good one to start with if you’ve never heard the podcast. About halfway through, she explains what it’s all about and even a little about her other podcast, Ditch Diggers. One of my favorite aspects of this podcast is how each episode feels more like a conversation with Mur Lafferty than like she’s imparting invaluable wisdom from some lofty pedestal. When I feel alone in my struggles, I can come to this podcast and feel like I’ve got someone in my corner rooting for me. I suppose part of that unpreparedness has something to do with all of the various responsibilities life and motherhood come with. It’s exhausting trying to be prepared all the time! And any time I’m fully prepared in one area, I’m therefore lacking in another. Mur addresses this as well with her example of feeling ready to record a recent Ditch Diggers podcast episode, only to discover an important part she’d forgotten to prepare for. It’s like getting the dishes in the sink done only to find more in another room later on. Or finishing a school worksheet only to get marked down the next day for not doing the work on the back you hadn’t realized was there. Then she brings up the usefulness of checklists. I have to admit to a bit of a chuckle at that point. Not because it’s not a fabulous idea or an excellent tool. I know they work wonders for many people, but even though I enjoy making lists (outline junkie, remember? ), I have two main problems with them. 1. I always lose the lists or can’t remember which app I saved them in, which means I spend more time looking for the lists than using them. 2. The minute I make a to do list, something major inevitably crops up to put a huge dent in my plans for the day. Like the results of too many vitamin gummies. Mur then spends the last half of the episode giving practical suggestions and tools to help prepare for writing. She never says you have to do any of them to be a successful writer, though. They are simply tools and methods to try out in order to figure out what works for you. I use some of them and am intrigued by others. Mostly though, I’m just grateful to know I’m not the only one who doesn’t have it all together. That any time I’m feeling like a failure and that I’ll never amount to anything, I can always turn on this podcast and be reminded that not only am I not alone, but that success isn’t dependent on always being prepared for everything. Do you ever struggle with being prepared? Or are you one of those rare breeds who manage to remember everything? More importantly, have you ever had too many vitamin gummies? It’s quite unpleasant.